If you could watch your chain, you’d see waves of energy literally bounce the chain as it moves up and down the cassette or when riding on rough roads. With the shorter chainstays of folding bikes, the waves just get amplified in size. 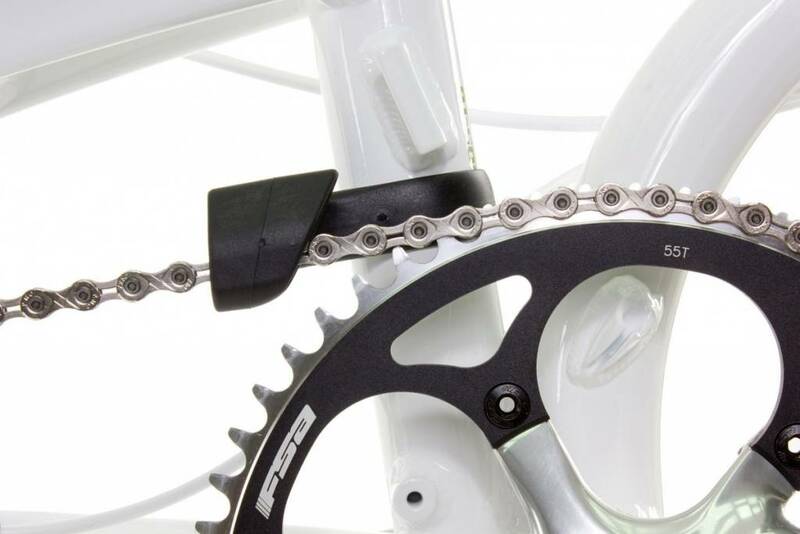 We spent 12 months modeling chain movement on different combinations of cassettes and chainrings and chainlines and developing a device to eliminate chain drops for all combinations. 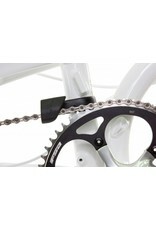 That’s new Tern Mainstay Chain Guide, a patented design that keeps your chain in its place.